The only time our son stopped talking with his play-by-play of what was going to happen next, was when he had to catch his breath, or when he was completely transfixed by the costumes and the dancing-like-he’s-never-seen-before unfolding in front of him. As if he were my narrator, he let me know when they were dancing in the clock, and how the Sugar Plum Fairy was really Marie’s (Clara’s) Mom, and how the Rat King wasn’t really dead. My husband and I exhausted ourselves trying to shush him all night. 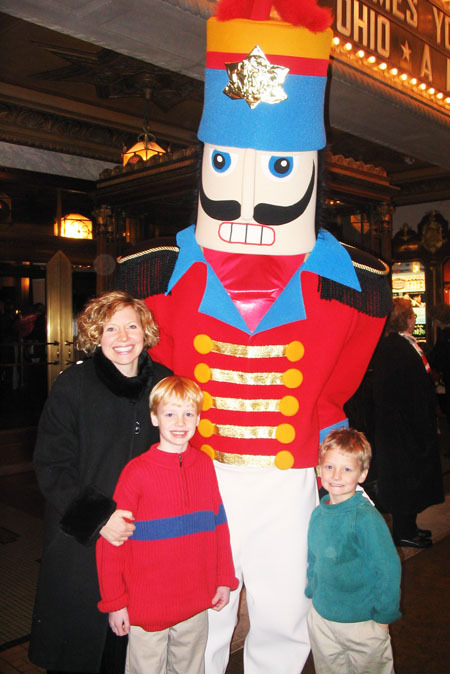 This was in direct contrast to our visit to the Nutcracker Ballet four years earlier with the boy’s older brothers. They were entertained, not enchanted, and relieved when it was over. As we were leaving, he asked if we could come back tomorrow night. I would love to turn back the clock and re-live the magic of the that night with him. Oh that’s cool. 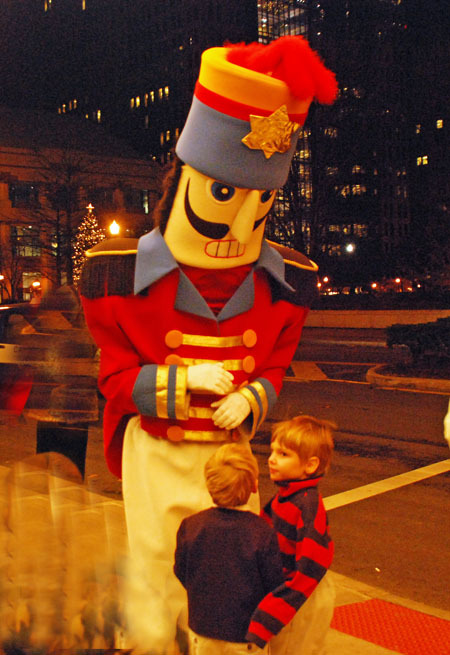 I need to remember to take Miss M to the Nutcracker next year. I’m glad that is was magical for him. It’s really cool when it works. What a sweet experience. Magic is what childhood and Christmas should be about. Glad you got to see it in action. And, of course, I’m glad he was entranced. Thanks for this post, Susie. 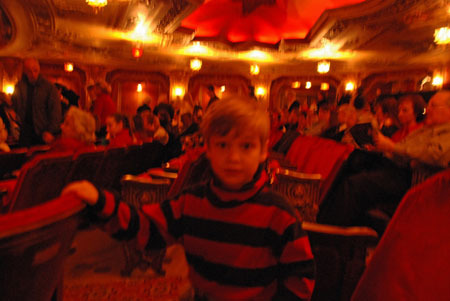 I’ve hesitated to take the boys to the Nutcracker, but perhaps we’ll give it a try. They loved the Sound of Music (done by our local high school) and the Grinch (kids show done by the symphony). Maybe ballet isn’t such a stretch. I appreciate the encouragment! Sounds like you have a connoisseur on your hands! Watch this space eh?